"Burn flv to dvd mac – i was wondering if anyone knows a way to convert flv files to be able to burn to dvd. i tried imovie and toast. i am not able to use disk utility because it says it isn’t recognized. Anyone have any ideas? macbook pro, Mac OS X (10.4.11)"
In many cases there is no sense to convert FLV to DVD Mac, because the quality of the resulting DVD Video is very low. So if you want to burn FLV video to DVD on Mac, make sure that your source videos are good enough and you’re using a quality lossless FLV to DVD converter Mac that could retain the source video quality in resulting DVD video. This guide introduces you 2 FLV to DVD converter Mac apps to help you burn FLV to DVD on Mac, with detailed steps on how to burn FLV to DVD on Mac. Leawo DVD Creator for Mac is a professional Mac based HD video converter and DVD burner that could convert and burn FLV video to DVD on Mac without quality loss on iMac or Macbook. It could act just as an FLV to DVD converter Mac to convert and burn FLV video to DVD on Mac computer, allowing you to edit and customize source FLV videos at will. You could follow the below steps to know how to convert and burn FLV to DVD on Mac with this FLV to DVD burner. 2 ways to import FLV videos to this Mac FLV to DVD Burner: direct drag-and-drop, or, click the "Add Video" icon to load source FLV videos. Insert a blank writable DVD disc into the DVD disc recorder drive if you want to burn FLV video to DVD disc on Mac. After importing videos, set output disc type ( DVD-5 or DVD-9, according to the output DVD disc type you want it be), set aspect ratio and output quality at the bottom. 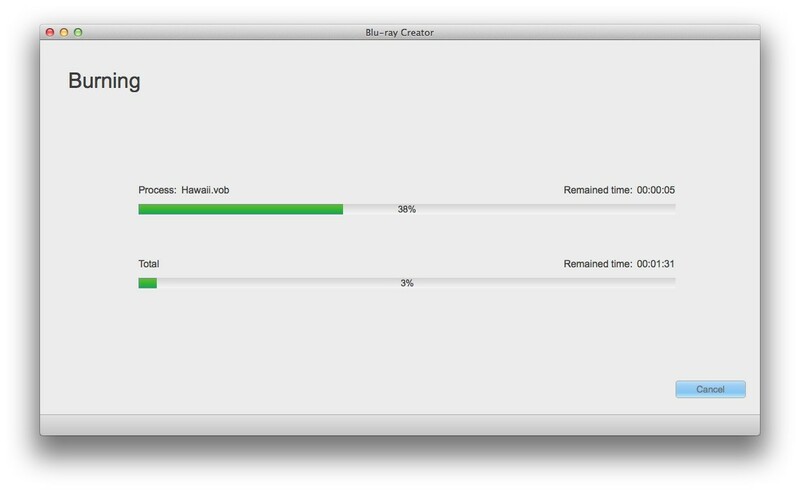 This FLV to DVD converter Mac also allows you to preview source FLV videos built-in player, select subtitles and audio tracks, add external subtitles, etc. Select a loaded FLV video title and the right click to choose "Media Edit" option to edit imported FLV videos. 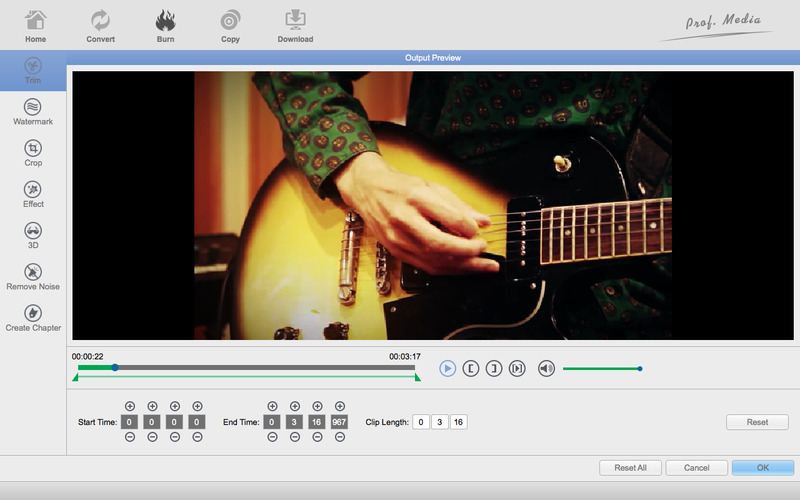 You could Trim, Crop, Effect, Rotation and Watermark source FLV videos. Add a disc menu for output DVD content from the right sidebar if you need. You could select from multiple menu templates. Click the middle of selected disc menu to get instant preview. On the disc menu preview panel, you could click the pencil-shaped icon to edit your DVD menu. If you don’t need to add a disc menu, just click the "No Menu" button on the left sidebar. After setting disc menu, click the big green "Burn" button on the main interface. On the popup sidebar, do burning settings like burn video to DVD disc, ISO file or/and folder, input volume label, set saving destination for output files. If you only need to burn FLV to DVD disc on Mac, insert a blank writable DVD disc into the disc recorder drive and then select DVD disc recorder drive as output under the "Burn to" option. This FLV to DVD converter Mac allows you to generate ISO image files and DVD folders while you’re creating DVD disc. Make sure your computer hard drive gets enough storage if you want to create DVD folder or ISO image file. Finally, click the "Burn" button to start burning FLV to DVD on Mac. The burned DVD content would be playable on various DVD players. Leawo Prof. Media for Mac, on the other hand, is an all-inclusive media converter suite that includes Blu-ray Creator, DVD Creator, Video Converter, Blu-ray Ripper, DVD Ripper, Blu-ray Copy, DVD Copy and Video Downloader. It is an upgraded version of Leawo DVD Creator for Mac that gets more features. It not only allows you to burn FLV to DVD Mac, but also burn FLV to Blu-ray, convert FLV to MP4, MOV or other video formats for multiple uses. ☉ Burn video to Blu-ray/DVD file, and copy ISO file to Blu-ray/DVD disc. ☉ Edit and play Blu-ray/DVD/video/photo files, create 3D movies, and design disc menu. Download and install this Prof. Media for Mac on your computer, and then follow the below steps to learn how to convert and burn FLV to DVD on Mac. Launch Leawo Prof. Media for Mac, open the "Burn" module. Then simply click "Add" icon or directly drag and drop source FLV video files for importing. Insert a blank writable DVD disc (DVD-R/DVD-RW recommended) into the SuperDrive of your Mac computer if you want to burn FLV to DVD disc on Mac. Click "Edit" option in loaded FLV video title to edit loaded FLV video: crop the frame size, trim video length, append effects, add picture or text watermark, and rotate video angle. Skp this if you don’t want editing. Select a disc menu from the right sidebar and click its middle to get instant preview. On the preview panel, you could click the pencil-shaped icon to edit disc menu. If you don’t want to apply disc menu to output DVD content, just click the "No Menu" button on the right sidebar. Click the big green "Burn" button on the main interface to call out the burning settings panel, where you need to do burning settings like burn video to DVD disc, ISO file or/and folder, input volume label, set saving destination for output files. To burn FLV to DVD disc on Mac, insert a blank writable DVD disc into the disc recorder drive and then select DVD disc recorder drive as output under the "Burn to" option. Leawo Prof. Media for Mac allows you to burn video to DVD disc, folder and/or ISO image file at the same time. Finally, click the "Burn" button to start burning FLV to DVD Mac. You could view the whole FLV to DVD burning process on the burning panel. Edit videos: trim, crop, add watermark, adjust effect, rotate, etc.